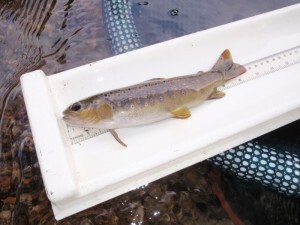 Electric fishing is a very useful fishery management tool; its main roles are to survey fish populations and communities, stock manipulation i.e. 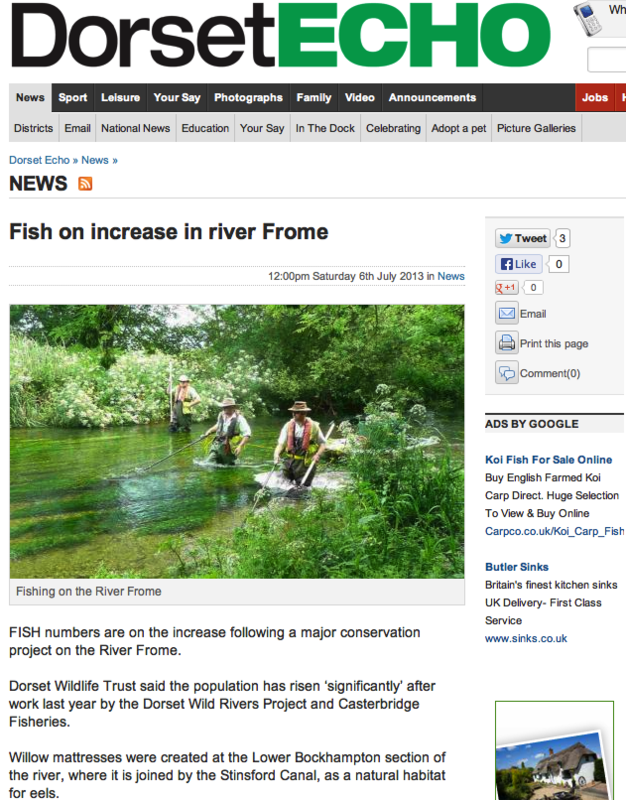 culling of predators/coarse fish removals, and carrying out fish rescues. 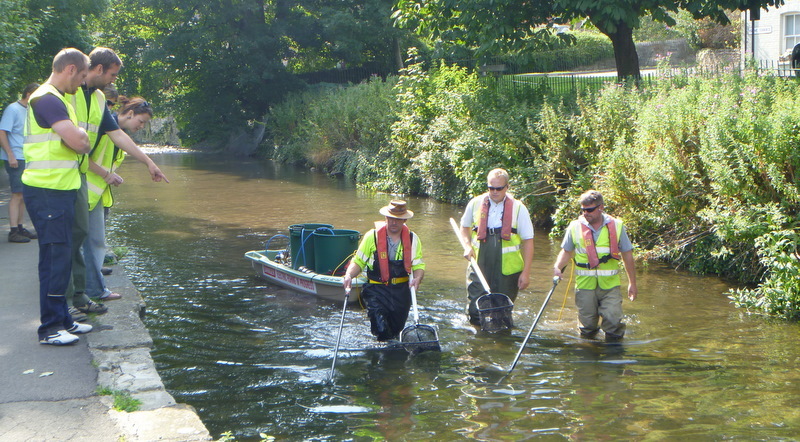 Fish rescues fall into two main categories; firstly planned rescues as part of in-stream construction works and dewatering operations, and secondly unplanned fish rescues, where fish are rescued as a result of natural events such as drought conditions, or the impacts of abstraction or flow augmentation failures.Casterbridge Fisheries are set up to deal with all aspects of both planned and unplanned fish rescues, including removal, transportation and all relevant Environment Agency consents. Lack of spawning/nursery areas or poor water quality. It may also be used to determine stocking requirement/success, or highlight areas suitable for habitat enhancement. Feasibility studies-pre consented works such as in stream/hydropower schemes. Small stream surveys-using back pack electric fishing and 2-3 staff. 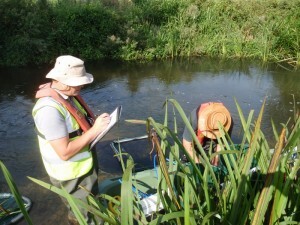 Small river surveys-using a boat/wade electric fishing and 3-4 staff. 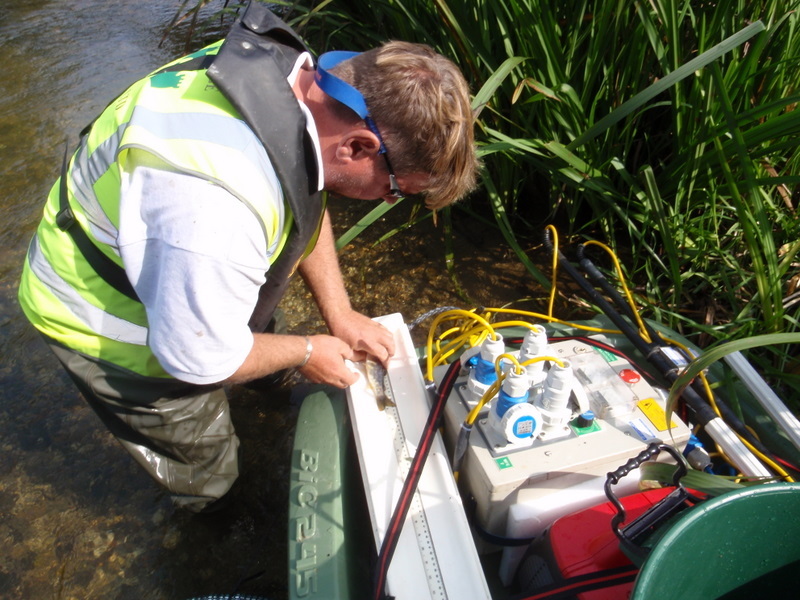 Large river surveys-using boat electric fishing and 5 staff. 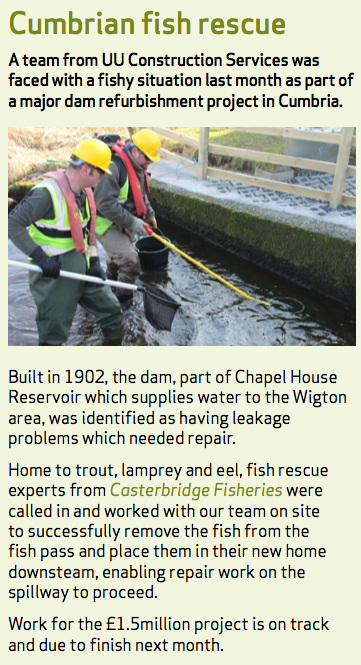 We are also available for fish rescue work. We can obtain all necessary Environment Agency consents. 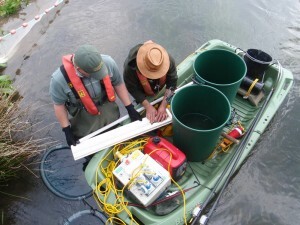 Where possible catch depletion surveys (quantitative) are undertaken to provide a higher level of confidence in the data collected, single run (semi quantitative) and timed surveys (catch per unit effort) can also be carried out. Environmental factors such as habitat types and water quality parameters are recorded on all surveys. Electric fishing surveys are carried out by our experienced staff and any disturbance to the aquatic environment is kept to a minimum.